When you’re on the road it's essential to have someone looking out for your financial interests. Sancus Tax and Accounting is the trusted financial advisor who will be watching your back so you can concentrate on making music. In addition to traditional bookkeeping and monthly reporting, we offer the unique accounting services that only true entertainment accountants can provide including royalty tracking and licensing audits. We carefully examine copyright and licensing agreements against royalty accountings to identify discrepancies, uncover missing payments, and ensure you’re being properly compensated by your music company. If necessary, we will collaborate with your professional staff, including attorneys, to collect unpaid royalty fees. Our accounting firm loves music and our music industry clients. We focus on developing a strong, personal relationship with each one of our clients and providing proactive accounting and tax solutions that will minimize taxes and get them the royalties they deserve. Contact us at Sancus Tax and Accounting to learn more or reach out to us through our website by requesting a free consultation. 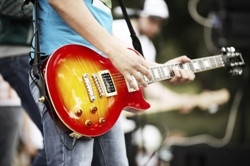 Our Los Angeles, CA accounting firm specializes in entertainment accounting services for both solo musicians and bands.